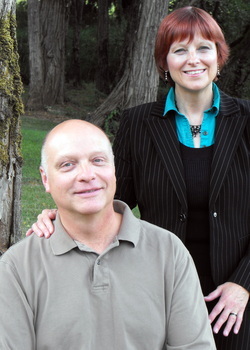 Pastor Jerry and Cindy have been ministering in the Portland area since 1988. Their journey serving Christ has brought them to the point of serving God at Connection Ministries by taking Mark 12:30-31 at heart, loving God and loving people--no matter what the cost. In addition to ministering at the church, Cindy works for the City of Lake Oswego in the Public Works/Engineering Division, Administrative Support. Their Son, Michael Waggener his wife, Shannon have a son, Peyton and daughter, Paisley. Michael is a welder for Gunderson here in Portland. Their daughter, Bethany Condit, is pastor of Children and Families here at Connection Ministries. Her husband Ray works for Tri-Met and they have two daughters, Ava and Makenna. 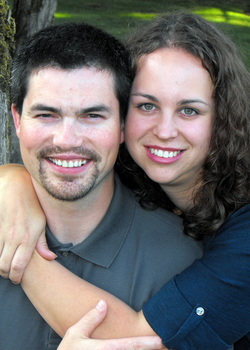 Pastor Bethany and her husband Ray have two daughters, Ava and Makenna and live in Oregon City. Ray works for Tri-Met of Portland. Pastor Bethany began her ministry here at the church in July of 2011. Bethany's warm attitude and level head, forms a steady ministry to our children and young families. We welcome the hospitality and help this family brings to our church family and depend on them to plan the future growth of our children's ministry! Elders at Connection Ministries are appointed by Pastor Jerry. He has chosen men and women of God who choose to count the cost and follow God. These men and women raise their families and run their lives based on the Word of God. Their daily devotion, daily walk, and support for the ministry through tithes and offerings and obedience to Jesus Christ provide the spiritual support that keeps the vision of Connection Ministries following Christ's desires for this body. You can click on any of their pictures to get an email link. 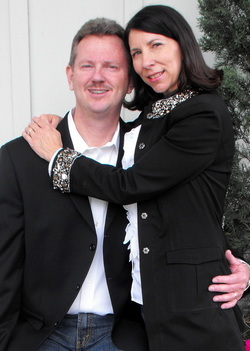 Dan and Lorri have been with Connection Ministries since it's early beginnings in 2002. 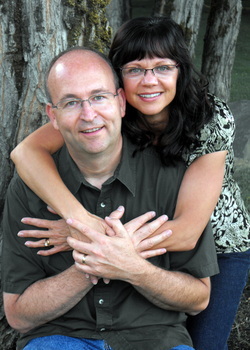 Long-time friends and supporters of Connection Ministries,Dan and Lorri bring their steady, loyal, God-inspired direction to the church. Dan has his own business and Lorri works downtown Portland for a local credit union. They have one son, Jason currently attending Oregon State University. Lindsay and Zena are business owners in the Portland area and support the vision and direction of Connection Ministries. Lindsay and Zena's careful study and sharing of the Word of God brings life to Connection Ministries. They have two children, Lathan and Kristen. Lathan is currently serving as a drill sergeant in the Army with his wife, Nicole and son, Lathaniel. They are stationed in Columbia, SC. Their daughter, Kristen and her husband Michael live in Philadelphia, PA where he is a student at Drexel University and she is an asst. volleyball coach at the University of Pennsylvania.